E3 2017 has come and gone, and as always what follows is a feeling of emptiness and sadness. Have no fear, though -- SuperPhillip Central is here to keep the hype flowing with the site's list for the top ten newly announced games from the show! This titles must have officially been revealed at E3 2017 and not leaked beforehand or unveiled elsewhere (sorry, Dragon Ball Fighter Z). Now that the stuffy official rules have been sorted through, let's get to the games! We begin with a game announcement that has been long past due for many who absolutely adored the PlayStation 2 era original Beyond Good & Evil. The sequel has been officially announced, but it's a bit of monkey's paw. Not only was the game presented just a teaser trailer that had an obnoxious teenage edge to it with how many times they could fit in the word "f--k" or some variation of it, but after the show it was revealed that the game is hardly even in development (actually, "day zero" according to the team) and the devs were thinking about putting the game on Early Access. If there was meat to this game and there was a chance it was coming out any time soon, then Beyond Good & Evil 2 would be much higher on this list. The more 3D platformers put front and center at the big three's E3 showings, the better, and that's exactly what Microsoft did with the reveal of Super Lucky's Tale. 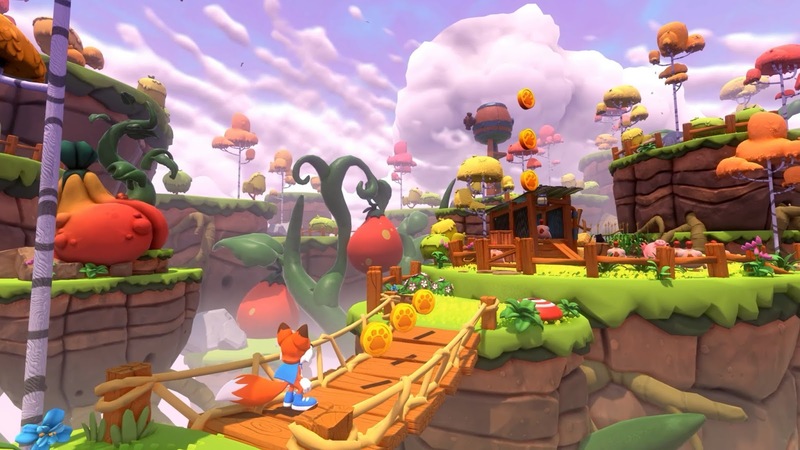 Lucky isn't a new IP, as it appeared as an Oculus Rift VR-only game, but now the precocious young fox gets his own charming 3D platforming adventure, which is right up my alley. Sure, it definitely won't appeal to the main demographic for the Xbox One or Microsoft's newly announced Xbox One X (formerly known as Scorpio), but that will be those players' losses. Everyone else will get to play what appears to be an engrossing run and jump with captivating worlds and characters to engage with. 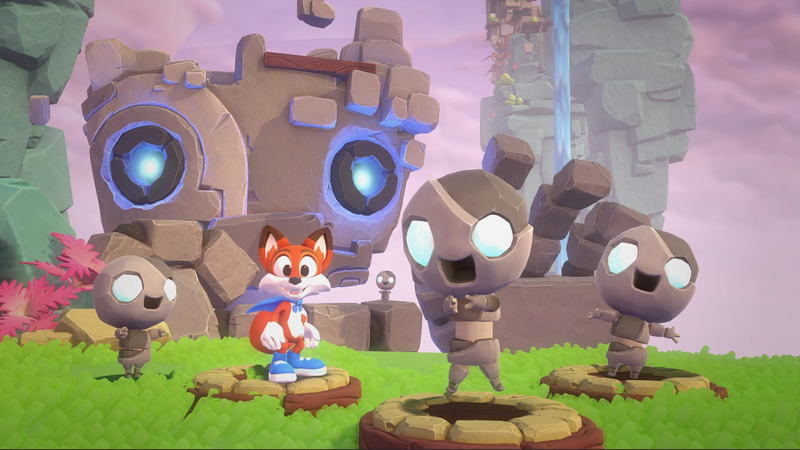 As a lover of 3D platformers and just the platforming genre in general, this was a good get by Microsoft to expand its library on Xbox One. 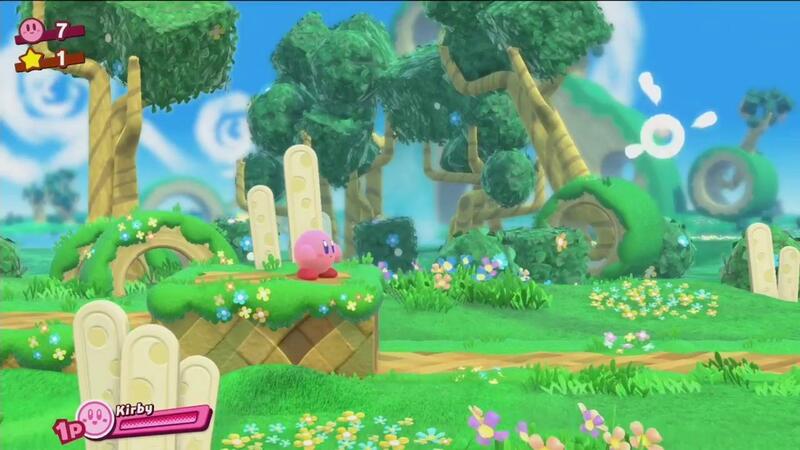 Lots of games were revealed with gameplay footage at Nintendo's E3 2017 showcase, but Kirby for Nintendo Switch is one of the only ones that didn't get a live gameplay demonstration at the Nintendo Treehouse Live three-day series of streams that followed. Based off of the adorable footage in this 2D entry in the Kirby franchise, and the first traditional Kirby game on a home console since 2011 with the Wii's Return to Dream Land, Kirby's first Switch game has him able to recruit enemy helpers to join his cause, combine powers a la Kirby 64, and use a wide assortment of copy abilities, as per usual with most Kirby games. With a 2018 planned release year, there's certainly plenty more to uncover about Kirby for Nintendo Switch, and I'm quite excited to see what other surprises HAL and Nintendo have in store. 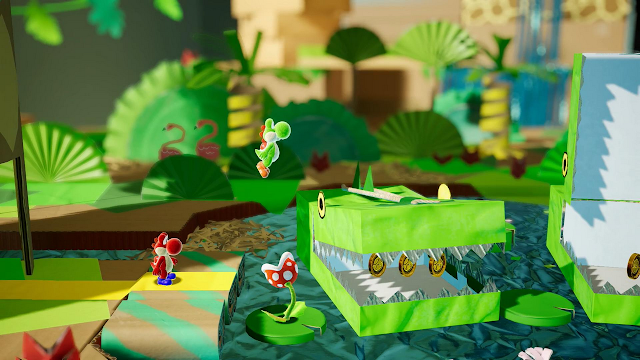 From one cute Nintendo platforming staple to another, Yoshi's last outing was on both the Wii U and later the Nintendo 3DS with Yoshi's Woolly World. Developer Good Feel continues the real world influence with a diorama style to the scenery and level design with Yoshi's first expedition on the Nintendo Switch. 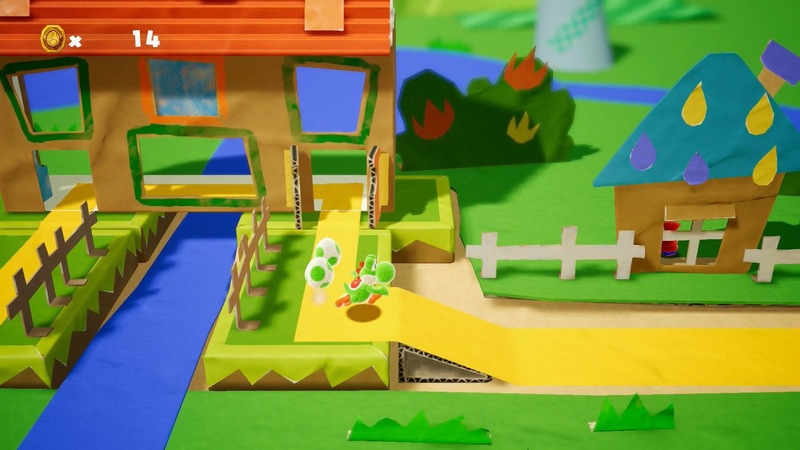 The game offers cooperative play with two players, worlds constructed out of cardboard, felt, toilet paper rolls, shoe boxes,and many other materials (sort of how my middle school self thought Yoshi's Story looked at the time of release), and interaction with Yoshi's egg on the Z-axis level to make a much more 3D-like adventure. Like Kirby's Nintendo Switch adventure, Yoshi for Nintendo Switch will also be making a 2018 appearance. Seemingly everyone is gunning to take the multiplayer throne from Destiny, even a development team known for its single-player RPGs with BioWare. 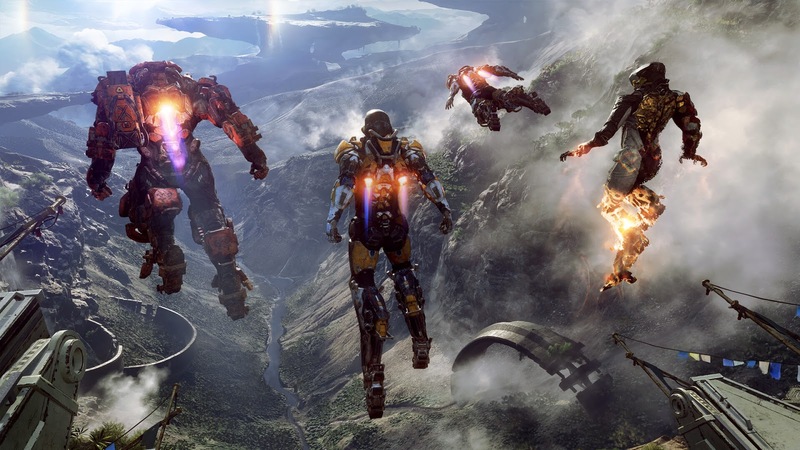 The Mass Effect developer now has Anthem, originally revealed at EA's press conference at E3, but fully shown at Microsoft's. 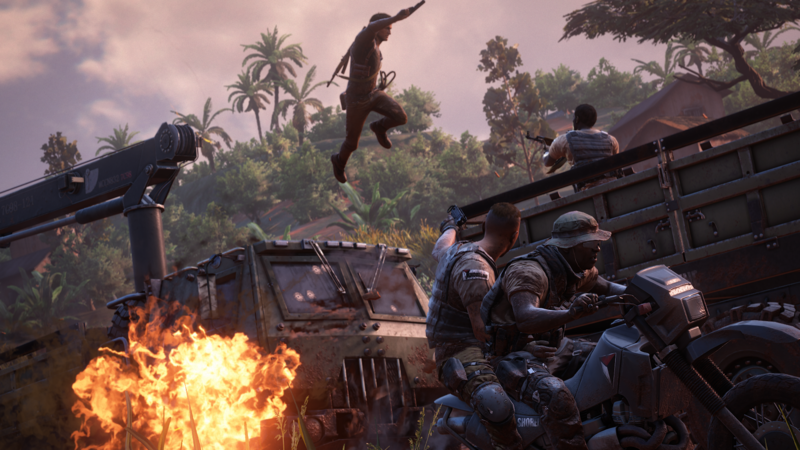 The game allows for epic battles on a hostile post-apocalyptic planet Earth teeming with waves upon waves of enemies that don't take too kindly to you and your crew. Select between multiple classes occupying a number of different abilities to them, and aid your teammates in hectic battles against an enormous swath of foes. 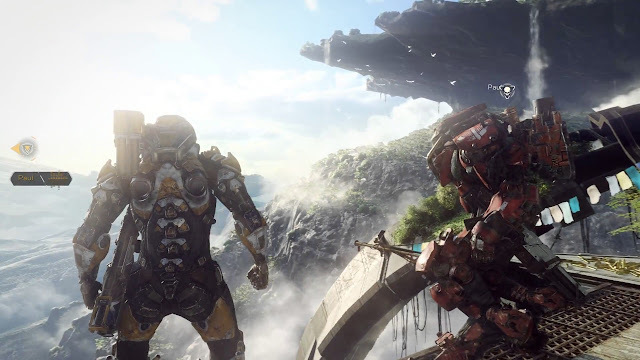 Obviously it's far too early to guess if BioWare's new direction towards a multiplayer-centric Destiny-inspired game will work out for them, but it's not too early to say that Anthem definitely looks the part. Third time's the charm, hopefully! 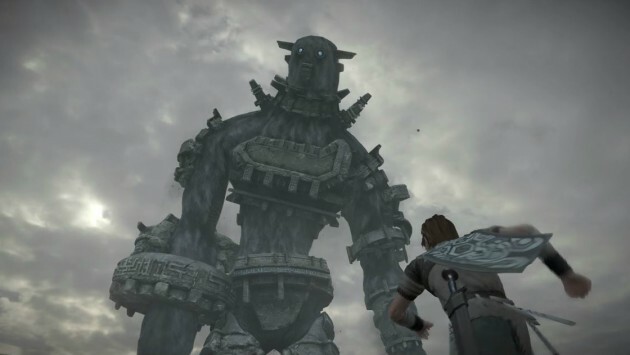 No, I'm not saying that the past two iterations of Shadow of the Colossus, its PS2 original and its PS3 remastering, were bad. I'm saying I'm hoping that after this third time, this magnificent looking PlayStation 4 remake that I'll finally play the darn thing in full! Shadow of the Colossus is frequently mentioned in debates and conversations of best PlayStation games, and moreover said to be one of the better games of all time. That makes it fantastic that Sony's Japan Studio is taking the time and dedication to make sure that this remake checks all the boxes of what a fantastic remake should be, such as balancing a fine line between new improvements and familiar gameplay. 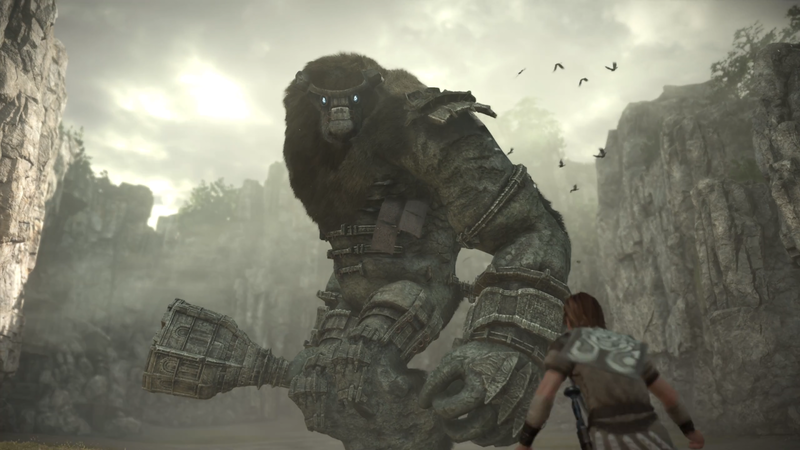 Shadow of the Colossus is set to release some time next year. You might consider me a hypocrite for arguing that a game with zero real gameplay footage in Beyond Good & Evil 2 is listed at number ten on my list while a game like Metroid Prime 4 with no footage outside of a logo is number four. Well, in some ways, you would be correct, and I can't really argue against that. However, I strongly doubt that Metroid Prime 4 hasn't even begun development, nor will the franchise take such a contrasted direction like Beyond Good & Evil 2 seems to be. (That is unless Metroid Prime 4 has Samus spouting f-bombs all over the place and it's a totally different genre than what fans loved about the originals.) Regardless, this announcement was long awaited after much of the Nintendo and Metroid fandoms were going nuts with pessimism if the series would ever be seen again. As someone that has the very first Metroid Prime game as one of his favorites of all time, just the promise of a new Metroid Prime game in development was a winning one for me. I personally don't care about the console war politics about Monster Hunter. Really, the only thing that bums me out is that the Nintendo 3DS audience in the west was the one that made Monster Hunter a success over here, and now that segment of gamers is being "thanks for your help, but you're fired" by Capcom essentially. 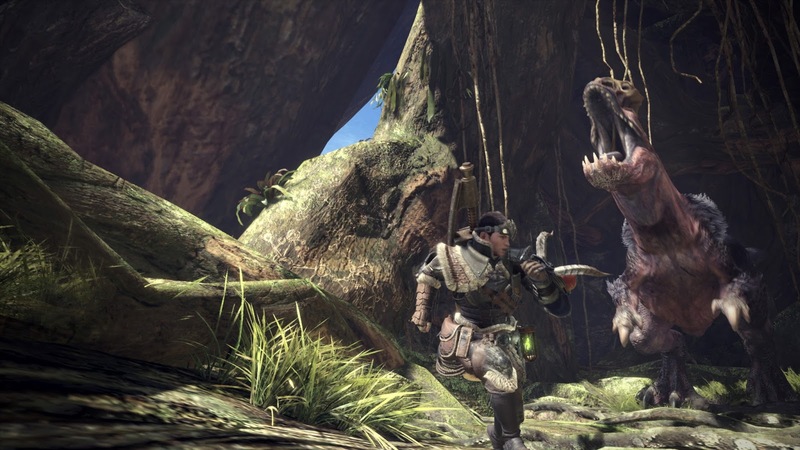 However, Monster Hunter World (first releasing on PS4 and Xbox One early next year with a PC release to follow) looks to take everything fans of the franchise love and makes it bigger and better. I was so happy to see Monster Hunter in full HD with all of the things that the franchise is known for while adding new additions to spice things up. 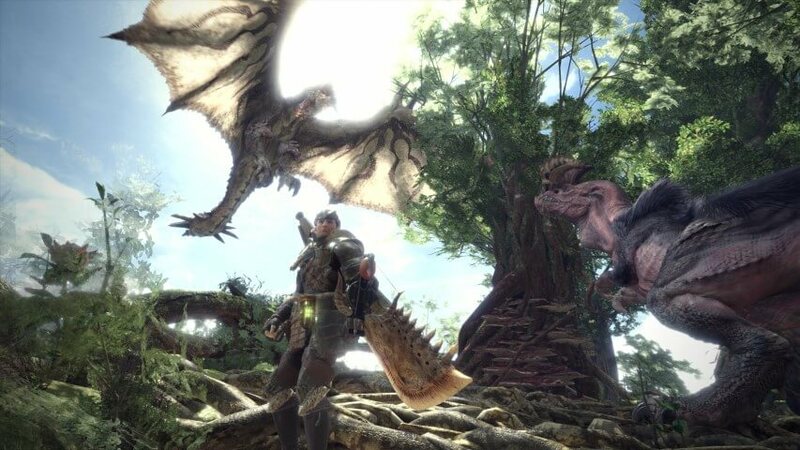 Here's hoping that Capcom's bet that western PS4, Xbox One, and PC players will take to Monster Hunter is a winning one! There's no question that Metroid Prime 4 shook the rafters with the hype of Metroid fans longing for a new Metroid game, but the fan base didn't just get that game to look forward, they got a second one! 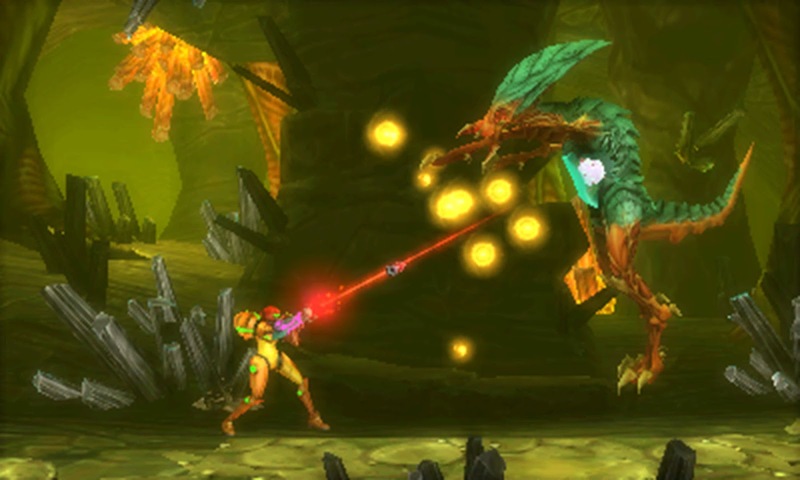 Metroid: Samus Returns is a Mercury Steam-developed re-imagining of Metroid II: Return of Samus, built exclusively for the Nintendo 3DS. 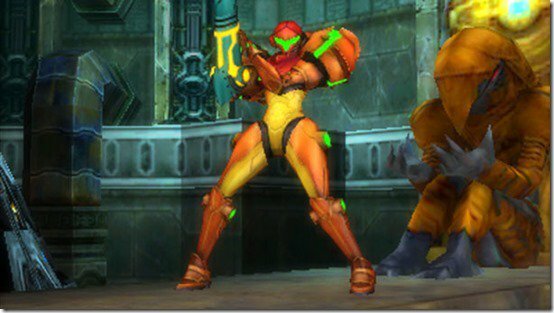 With Nintendo's careful watching over the project and Mercury Steam doing the heavy lifting of the game, Samus Returns is shaping up to be everything Metroid fans wanted out of the franchise for longest time. To many, Metroid: Other M and especially Federation Force (both games I happened to like for different reasons, regardless) were disappointments to put it lightly, so this 2D Metroid takes the series back to where it belongs. Plus, with a September 15 release date, 3DS owners won't have to wait long at all for the game! 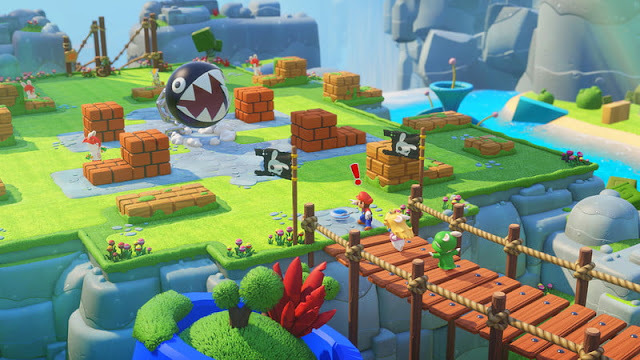 After a couple of months of bickering and complaints that this was the dumbest crossover in gaming history, many of these same people ate some serious crow (and did so with great satisfaction for being proven wrong) after Mario + Rabbids: Kingdom Battle was officially revealed for Nintendo Switch after it had been previously leaked via marketing materials. The game looks absolutely insane and in a good way while showing obviously love and appreciation for the project and all of the characters included. The creative director at Ubisoft's E3 show, after months of leaked materials and most calling the game a horrible idea, was so happy that he was on the verge of tears that his project was being accepted and applauded by the gaming media and public is one of my highlights of the entire show. 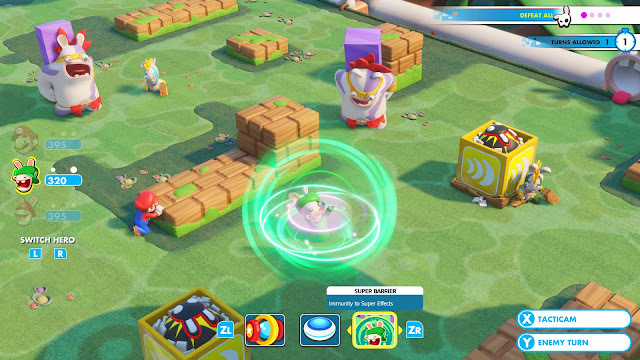 I can't wait to get my hands on Mario + Rabbids: Kingdom Battle when it launches this August. 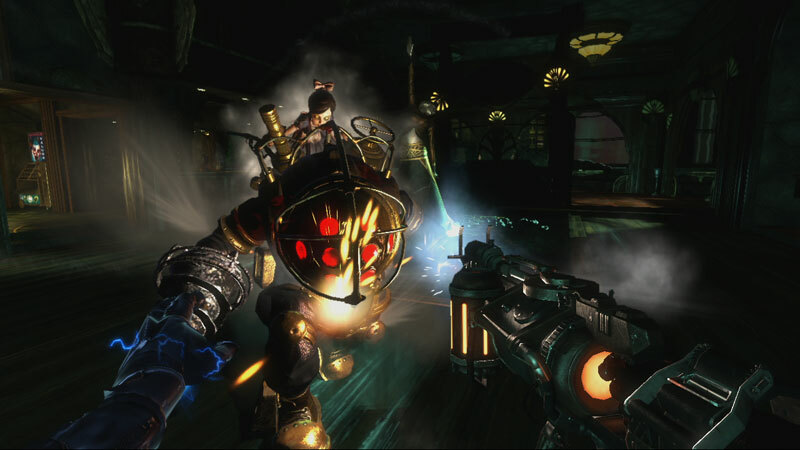 Of the three major BioShock games released, BioShock 2 seems to be the least appreciated due to having so many similarities to its predecessor. Sure, returning to Rapture didn't cause as much excitement as the theatrics of seeing it for the first time and how that reveal was handled in the original BioShock, but the first-person shooting elements, playing as a prototype for a Big Daddy, and taking on hordes of psychotic human enemies made for an engaging and enjoyable campaign. We got to see an expansion of the ideas presented in the original BioShock, and again, while BioShock 2 did feel like retreading familiar ground, it's very much worthy of being a part of the exquisite BioShock trilogy. 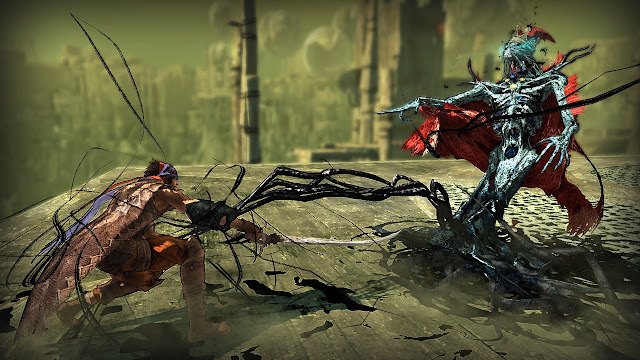 Prince of Persia's 2008 reboot brought with it equal amounts of freshness into the series and disappointment in regards to ending on a cliffhanger that will most likely never be resolved. 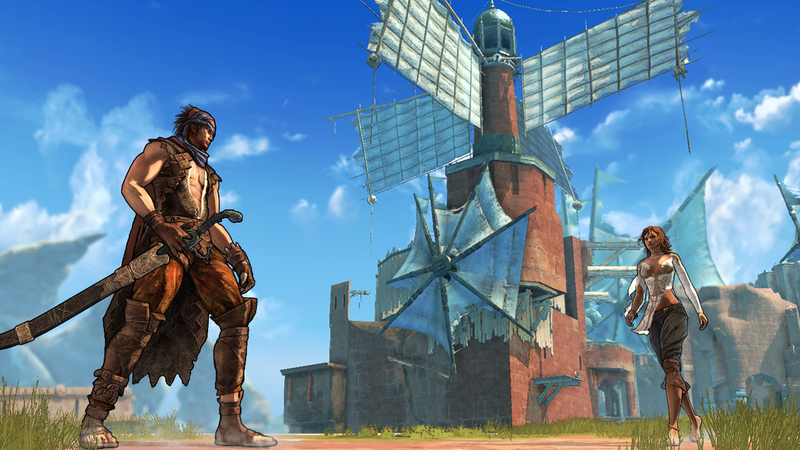 The game's superb cel-shaded art style made it stand out from the crowd, especially in a gaming generation that was consumed by a lot of brown, grey, and dark colors when it released. 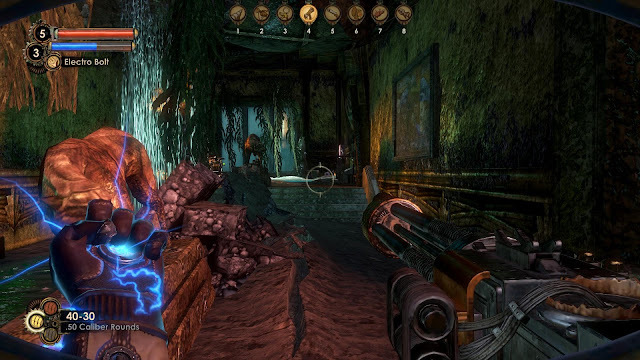 With a partner in crime, each needing each other to get through the game's maze of chambers and pathways, the amount of ways the main character could use his agility and mobility to progress was astounding. Unfortunately, Prince of Persia as a franchise is back on hiatus after a series of low-selling entries, despite the 2008 offering being one truly fantastic title. 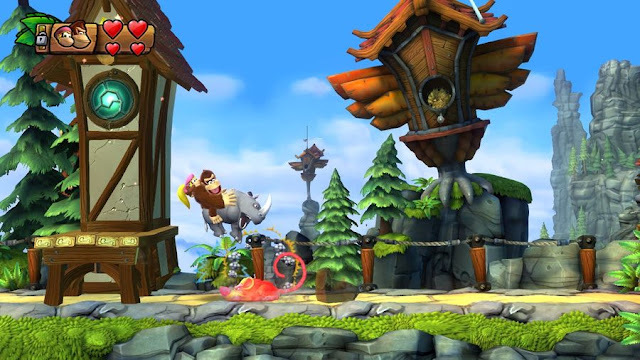 Between being on a failed system and having so many Nintendo fans ticked off that Retro Studios' talents were somehow "wasted" on another Donkey Kong Country game, Donkey Kong Country: Tropical Freeze was a mighty 2D platformer that stands tall as one of the greatest of the genre -- yes, even outdoing Rare's efforts, something I never thought I'd ever write. From its levels that bring a wide assortment of thematic obstacles and challenges together to form cohesive stages to its wild abundance of character and charm, it's an absolute shame that Tropical Freeze is currently stuck on the Wii U. More people need to play this amazing game that surpasses even many of the 2D platforming god, Mario's many exploits. No hyperbole either. When people talk about Pokemon, most of the time they refer to or allude to the handheld releases. After all, that's where Nintendo and The Pokemon Company puts most of their releases in the series and where Pokemon originated. Some table scraps, if you will, have been thrown out to console owners, but most of the time if you want a Pokemon game, you better have one of Nintendo's handhelds. 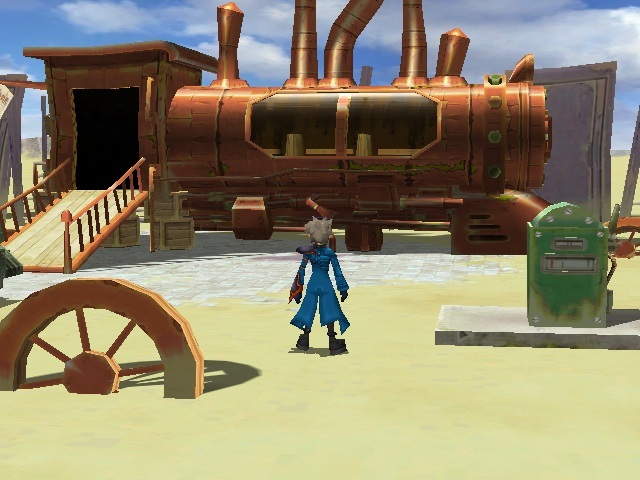 Pokemon Colosseum wasn't just a new console spin-off for the Nintendo GameCube, but it was also a full-blown adventure -- not to be confused with a traditional mainline Pokemon release. As Wes, you explored the Orre region, investigating a nefarious group known as Team Cipher who was corrupting Pokemon, turning them into Shadow Pokemon. 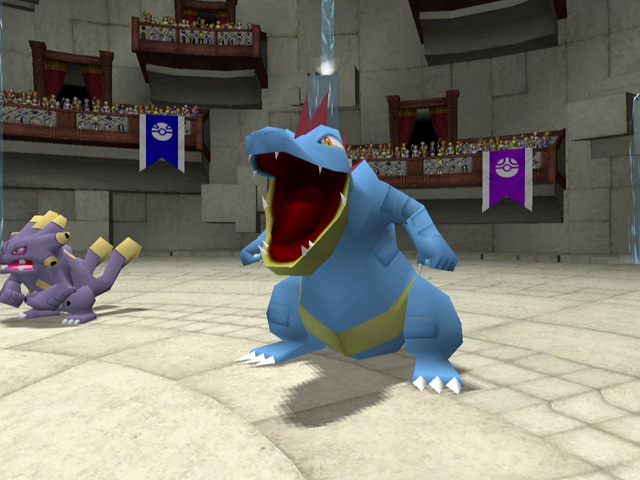 Having an adventure-based Pokemon game with the traditional battles of the handheld games was a breath of fresh air for the franchise, and although it did well commercially for a GameCube release, few really talk about it nowadays. A shame, as it's really a worthwhile entry for a console Pokemon game. 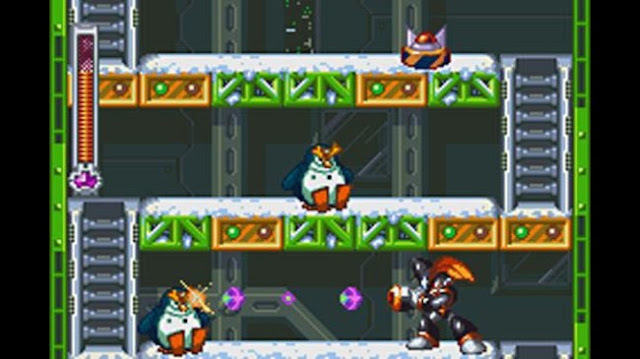 Originally released on the Super Famicom in Japan only, Western gamers finally got an official (see: legal) chance to play Mega Man & Bass, although it was on the smaller screen of the Game Boy Advance. This meant there was less room to see upcoming hazards unlike the fuller Super Famicom release. 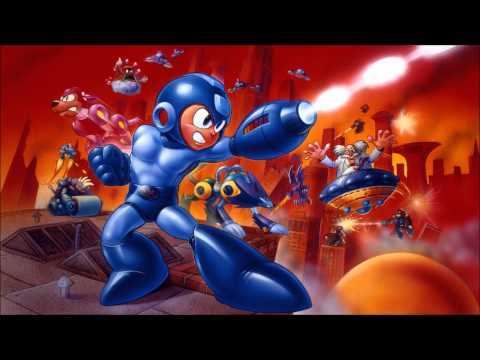 Regardless, the ability to play as either Mega Man or Bass (introduced in Mega Man 7), each with their own advantages and disadvantages, a challenging difficulty, multiple collectibles in the form of data discs featuring every Robot Master in past Mega Man games, and the same, fun, old Mega Man gameplay fans knew the series for made this 15th anniversary game a great one. Sure, I've never beaten the damn thing because it gets ridiculously hard after the initial eight Robot Masters are defeated, but Mega Man & Bass remains an enjoyable handheld romp, and an underrated Mega Man game in general. ND Cube is a collection of developers who used to work for Hudson Soft, making past Mario Party games. However, since ND Cube has taken over as developer of the Mario Party series, the quality of the games has been up and down (mostly down). 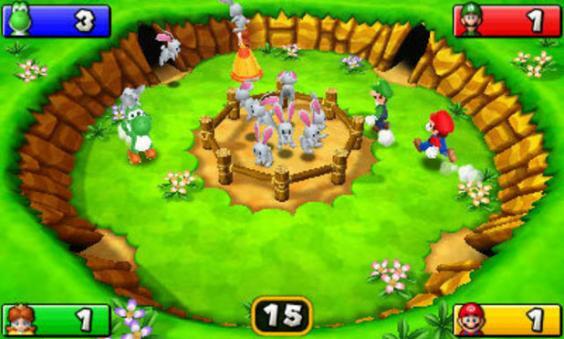 That said, Mario Party: Island Tour for the Nintendo 3DS featured some of the most engaging and enjoyable mini-games as a whole in any Mario Party in history. Plus, the whole "let's all ride in one car" mechanic introduced in Mario Party 9 was gone. 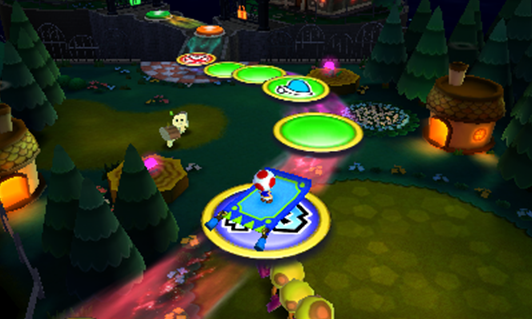 Instead, each of Island Tour's six boards (one of which was only available for 3-4 players) had a different objective to it with varied obstacles that got in the way of doing that. Whether it was playing cautiously by hiding in an alcove or chancing fate by being in the possible path of a Banzai Bill, or collecting as many Mini-Stars as possible before reaching the end of a board, each board gave some form of variation. Throw in some appealing bonus modes like a mini-game tower to unlock secret characters, and I feel that this Mario Party was unfairly criticized and spat on. Hello, everyone! I hope you're enjoying E3 2017 whether you're actually in Los Angeles or consuming every bit of new possible via video or on sites like these. Welcome to another installment of Classics I, your owner and main operator of SuperPhillip Central, Phil, Can Return To! This series of articles goes into seemingly infinitely replayable games that I either actually do play quite often or will come back to eventually. They're either games that are full blown classics or games that I perceive to be modern classics. This part of Classics contains a mix of the two, featuring franchises like The Legend of Zelda, Mario Kart, and Grand Theft Auto, to name a few. What games that you consider classics do you find yourself coming back to? For past parts of Classics I Can Return To, here are all seven for your convenience. 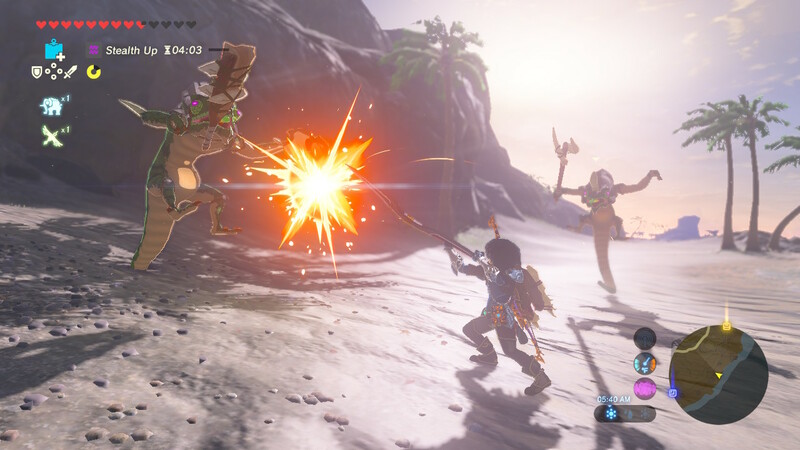 Certainly a contender for Game of the Year so far, The Legend of Zelda: Breath of the Wild "breathed" new life into The Legend of Zelda franchise as a whole after so many entries following the same standard formula for so long. It took inspiration mostly from the very first game as seen on the NES, featuring a world you can easily get lost in (where that was most of the fun), little direction to guide you from place to place, and a means to go wherever you wanted (but not without it own obvious risks in doing so). Just one play-through can feel infinite in itself with everything you can do. 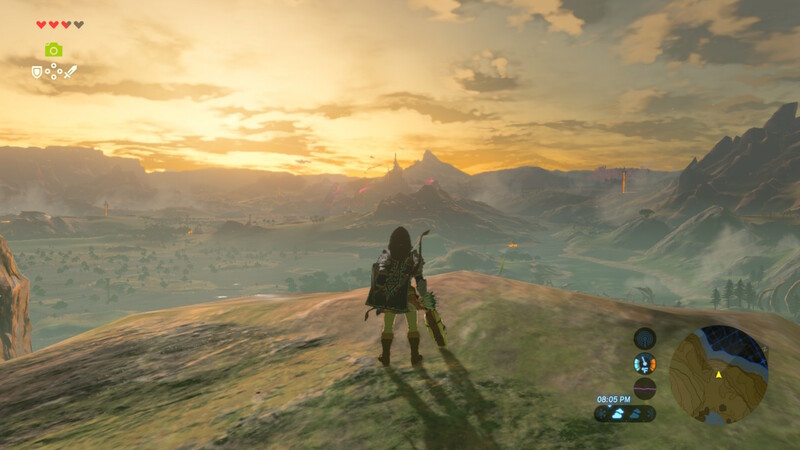 I've played over 80 hours (and that's on the short side of most folks' time with the game), and I'm still witnessing new things in the world, new places to find, and things I can do with enemies, the environments, and objects that I never even knew existed. Breath of the Wild is an insanely well crafted open world game that didn't just breathe new life to Zelda as previously mentioned, but breathed new life into the open world sub-genre of games. It says something about the quality and entertainment factor of a game where I can enjoy the original and play it for so many dozens of hours and feel compelled to buy an upgraded and updated version on another console. 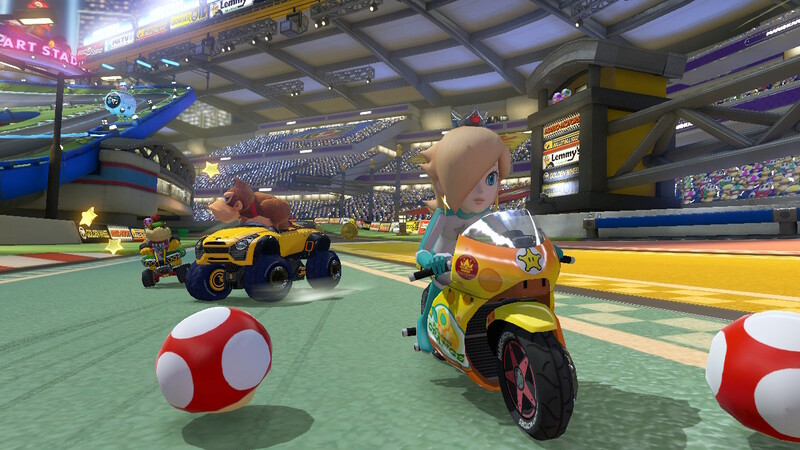 Mario Kart 8 was one of those games that did well on the Wii U but was limited in features for the most part (and stuck on a doomed console). Nintendo cleverly ported the game to the Nintendo Switch, which is doing awesomely so far, but added new content to make the upgrade worth it. 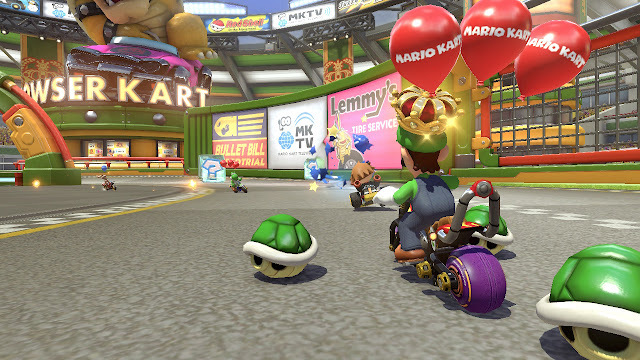 Such new content included a totally revamped and improved Battle Mode (featuring five modes and actual battle arenas this time around instead of retro-fitted tracks from the Grand Prix mode), new characters, new kart pieces, new accessibility features, and much more. This was all while including every bit of content including the DLC from the original Wii U Mario Kart 8. With that, Mario Kart 8 Deluxe is a winner in my book, a worthwhile purchase despite already logging so many hours into the Wii U original, and a game I obviously can replay without issue. 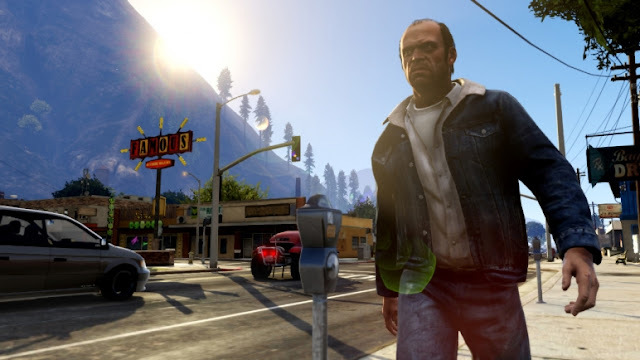 Speaking of games I purchased again because I loved them so much and the upgrades were wholly worthwhile, we have one of the best selling games of all time with Grand Theft Auto V. Rockstar and Take Two are killing it with the game, constantly showing up on monthly and weekly bestseller charts in both North America and Europe respectively. The story campaign alone is deep enough and filled with so much content that it could take months to fully digest it all, especially if you just like to joyride around the city, causing trouble, and having an entourage of cops cars on your tail. However, the real longevity of Grand Theft Auto V comes from its online counterpart, included with the game. 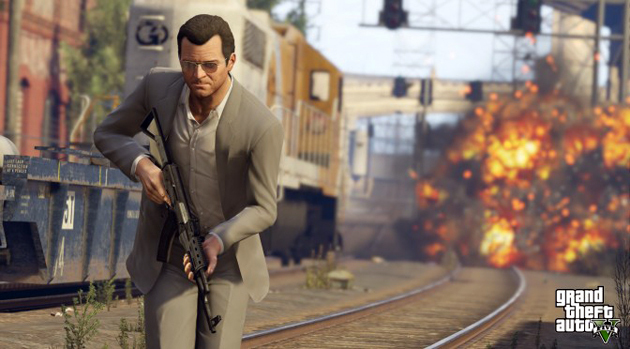 Constantly updated with fresh features, Grand Theft Auto Online continues to get support from Rockstar and is key in why the game is easy to want to come back to for many players, including myself. With a new trailer shown at E3 2017 of Uncharted: The Lost Legacy, which is an expansion story to Uncharted 4: A Thief's End, why not mention Nathan Drake's final chapter? It is in fact a modern classic by every meaning of the world. The globetrotting adventure is larger than ever before, the stakes are positively at their highest, the story is engrossing and engaging, and the various action moments in the game are to die for. Well, not literally, unless you let an enemy flank you, or you miss a jump, or you get blown to smithereens by a grenade. 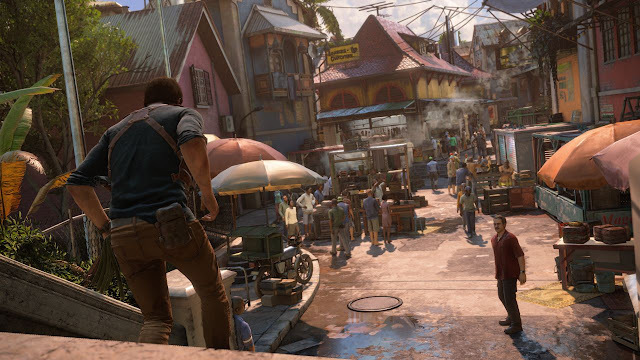 That notwithstanding, I hope to have a review of Uncharted 4 by the end of this month as a means to have a look back at the game a year after its release and far beyond the hype. Though as the game is on a list of games I'll come back to, it's probably no surprise how much I still enjoy it. With not one but two new Metroid titles announced at E3 (which should appease Metroid fans for all but a minute probably), it's the perfect opportunity to bring up one of Samus Aran's most fondly remembered missions. That mission was in the Super Nintendo classic, Super Metroid. 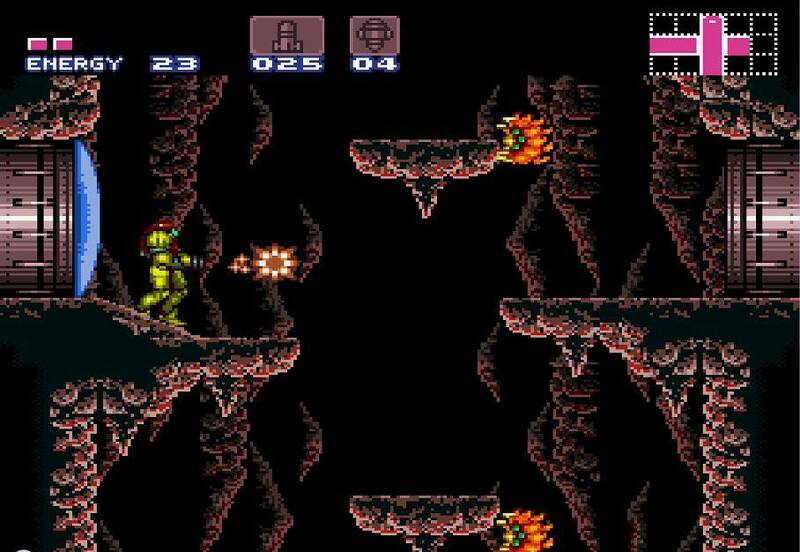 Whether I was intricately exploring every inch of Zebes for secret alcoves containing energy or missile upgrades, or trying to complete the game as fast as possible by speed-running it, Super Metroid was a game got in to far after its initial release. In fact, my first time playing it was on the Wii Virtual Console. You could say with all of my play-throughs of the game now that I've more than made up for lost time. 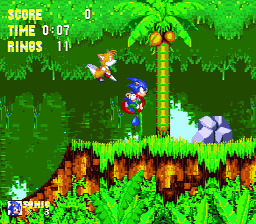 We conclude this edition of Classics I Can Return To with by far my favorite 2D Sonic the Hedgehog game, Sonic 3 & Knuckles. It combines both Sonic the Hedgehog 3 and its expansion, Sonic & Knuckles, into one lengthy adventure encapsulating multiple playable characters, Chaos and Master Emeralds to collect, and new story elements not found in either Sonic 3 or Sonic & Knuckles by themselves. 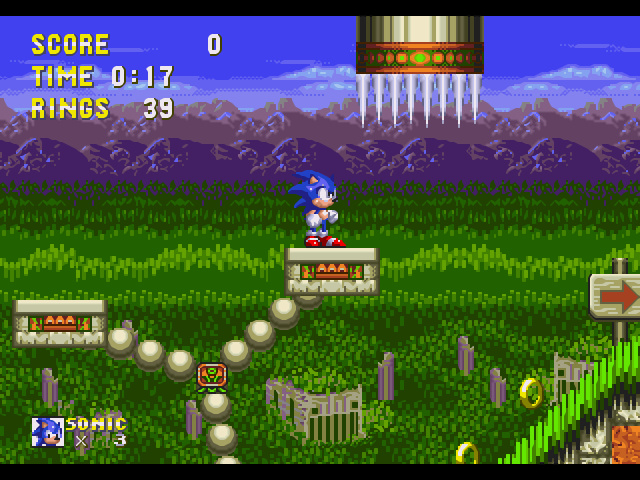 This cyborg of Sonic games (even the construction of putting the Sonic 3 cartridge into the Sonic & Knuckles cartridge looked some mechanical monstrosity) features my favorite collection of zones in any Sonic game, and there are seldom any moments I dread playing, which I can't say for any other Sonic adventure. While I enjoyed other 2D Sonics, even modern ones like the Sonic Advance and Sonic Rush series, Sonic 3 & Knuckles remains my top tier 2D Sonic the Hedgehog game. It was quite the busy day here at SuperPhillip Central, digesting all of the new trailers put out by both Nintendo and other publishers today. Now that we have a breather, let's see the return of a segment that I've wanted to continue for a very long time now. Finally, we've reached Volume Two of the weirdly titled "How Was I Supposed to Know THAT!?" This series talks about things in video games that are so hard to find, figure out, or solve that they're almost obtuse, if not counterintuitive. Volume Two starts with The Legend of Zelda before going a bit more modern with its picks. Do you agree with SuperPhillip Central's selections? And here's Volume One for your convenience! 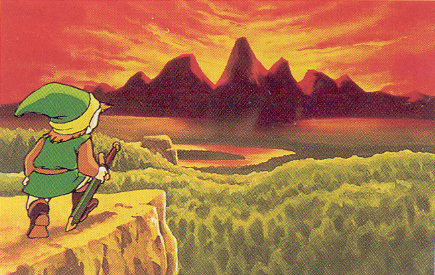 The Legend of Zelda for the NES can be credited as one of the earliest examples of the open world sub-genre of game. It's no secret to everyone that NES games were quite obtuse for the most part, and that was a great deal of the mystique and made you feel like you were on your own adventure. 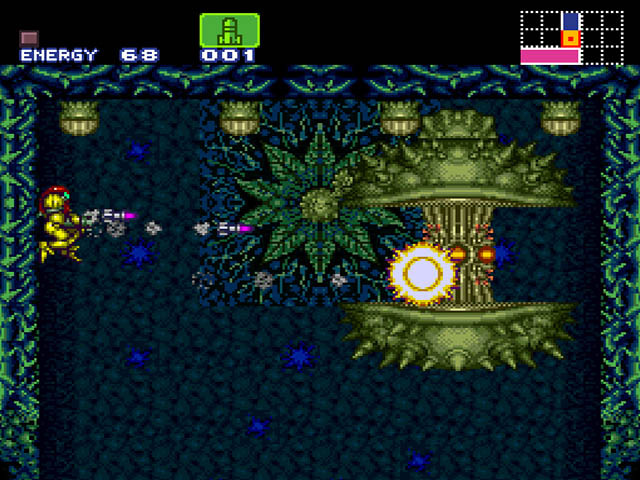 Right away, you begin in a hostile land with enemies ready to send you, as the player, to the Game Over screen. There are few clues in the world, and what is on offer in Hyrule is all cryptic -- though in some part due to the funky translation of the game. Players were left on their own to find where to go and even what to do to begin with. The main quest was to venture to Hyrule's eight main dungeons before tackling Ganon's domicile in Death Mountain. Of course, that meant meticulously exploring the overworld for helpful items to get through the game and reach different dungeons to earn pieces of the broken Triforce. Some dungeon entrances were as simple as happening upon them through pure exploration. You'd just happen upon them, enter them, and if your luck was good, you'd be ready to take that specific dungeon on. Others required some examination of the world and just trying things out, One example is burning a lone bush in a forest to reveal the entrance to Level 8. 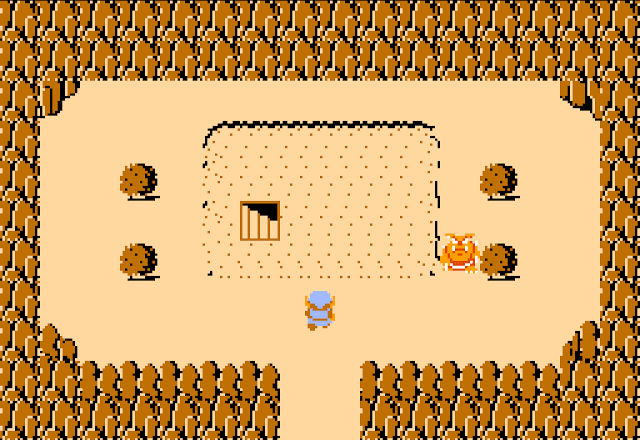 However, as a player of The Legend of Zelda in the early '90s when I was old enough to have a fighting chance at the game, one particular dungeon that stifled my progress considerably was attempting to discover the location of Level 7. The secret to finding it is in finding a woman who gives a cryptic clue when you give her one of three Rupee amounts, specifically the middle amount. The clue says something about a lake without a fairy, but that's the limit of assistance you get. Not only did the idea of not just spending the maximum amount of Rupees for the best clue not come in my mind (and most players' minds), but there is no hint at all that you have to use the Whistle found in Level 5 to reveal the entrance to Level 7. When you play the Whistle, the lake where there is no healing fairy dries up, showing the steps leading downward into this difficult-to-discover dungeon. Let's go from one classic Nintendo franchise to another, though with an entry far more recent than Link's first outing. After all, this was Nintendo's day to shine at E3, and I think the publisher did a wonderful enough job to earn two places on Volume Two of these obtuse things in games. We turn our attention to New Super Mario Bros. 2, which didn't have a lot to separate itself from other 2D Mario games, especially of the New Super Mario Bros. series, but it was enjoyable all the same with some neat level design. One of the fun things about the New Super Mario Bros. series was its inclusion of optional Star Coins to collect, three in each main level. This both encouraged and rewarded exploration that players might not have otherwise done. After all, is a 1-up really that big of a reward when they're so easy to get? Maybe if this were the original Super Mario Bros. NES trilogy it would be, where they're such a rare commodity, but this is the New Super Mario Bros. series we're talking about here. Other than Star Coins, many levels includes secret exits just like Super Mario World introduced to the series. Most of the time the secrets in New Super Mario Bros. 2 are pretty intuitive. They're logical in the sense that if there is something off with a platform or something, most likely there's something there. However, this isn't exactly a rule to the game. One of the most challenging secret exits in New Super Mario Bros. 2 appears in World 5-1. In the level itself, you need to reach a rope Mario can bounce off of to hit a block that reveals a beanstalk to a bonus area. Inside this bonus area is a circle of revolving Parakoopas that guard an aforementioned Star Coin. The thing of this is is that you wouldn't think there would be anything else in this room. After all, you got the Star Coin, and that was obviously all the room was good for. Time to fall down the hole and continue the level, right? Of course not, but that's not the rub here. 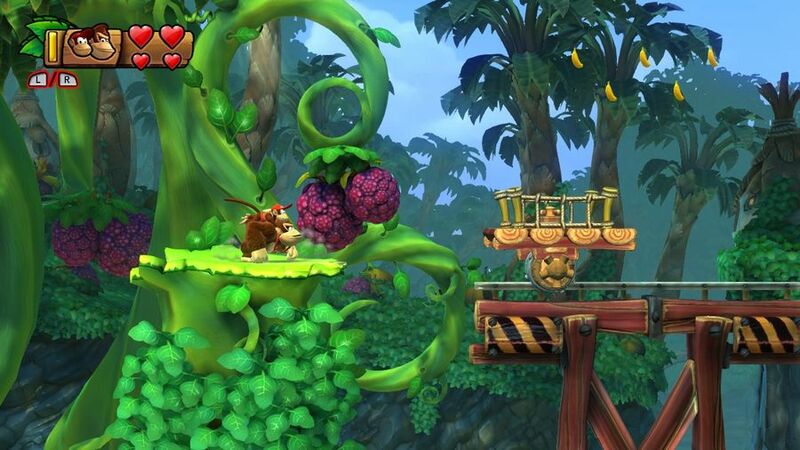 The rub comes from the secret exit only being reachable by hitting an invisible block that reveals yet another beanstalk, and then taking that across two rings of circling Parakoopas to the secret exit. The invisible block in this bonus room is over an innocuous rope in the area, and completely unassuming. You dastardly level designers! This was the only thing in New Super Mario Bros. 2 that I needed to look at a guide for, as not finding that secret exit until then made me miss out on two bonus levels in the game. Despite being heckled by some in the Mega Man fan base, I quite enjoyed Mega Man 7, the only classic game in the series to hit the Super Nintendo. (But I would take Mega Man X1 - X3 over any classic Mega Man game any day. Truth.) Anyway, you can play through the game normally, going through all eight Robot Masters and then taking on the Wily Stages if you want, but Mega Man 7 offered the most longevity for one single play-through than almost any other classic series Mega Man game on offer. One of the most time-consuming tasks in Mega Man 7 is done by finding Proto Man who can initially be discovered in a room Cloud Man's stage. This is performed by using Mega Man's trusty canine companion's Rush Coil to reach the area. Here, Proto Man gives the Blue Bomber a hint on what to do next, albeit however obvious it would be to use a flame weapon to burn down a forest's leaves. Regardless, continuing from here is something I didn't even know was possible. It's something that had eluded me for over 15 years since originally playing Mega Man 7 via Blockbuster rental in my childhood. Proto Man can once again be found, but his location is in such a "how was I supposed to find THAT!?" spot that it's no wonder I never found him as a kid. 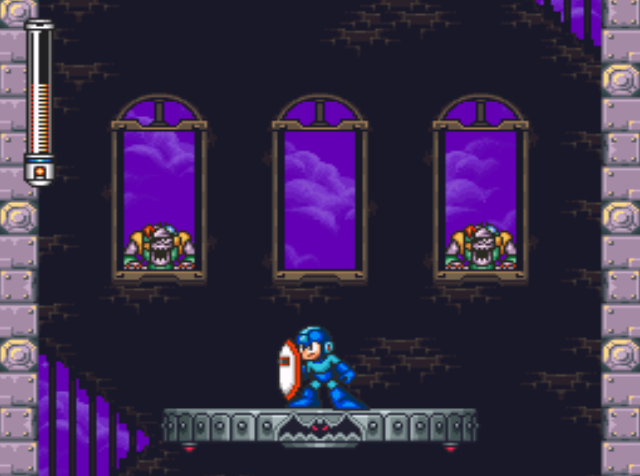 Proto Man is next located in Turbo Man's stage, where he's hidden inside a false wall. Ah, the false wall, how I hate you. With no hint at all of a false wall being there, Proto Man was waiting for me to finally find him for a looong time. With another tip that goes in one eye and out the other (get it, since players are reading the dialogue instead of hearing it? ), you finally can go to Shade Man's stage. With the mid-boss in that level, you have to destroy it a particular way to be able to go downward in the level to continue. A Sniper Joe, another enemy of my childhood alongside the false wall, stands before another false wall which leads to the grand culmination of all of this exploring -- the battle with Proto Man. 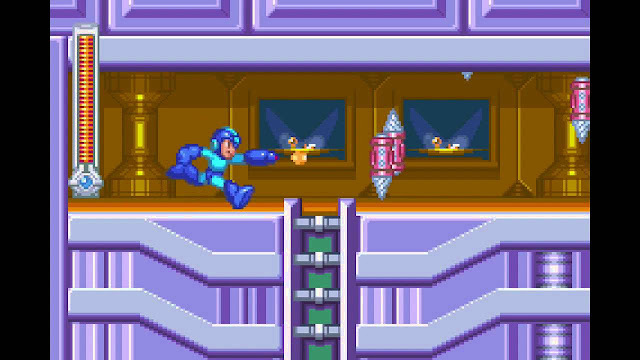 After all of this moving from one level to another and defeating Proto Man, he gives Mega Man his Proto Shield as a prize. In a cruel twist of fate, the shield actually is worthless if you like to use any type of substantial offense (like in, y'know, any Mega Man game for it to be fun), but alas, at least the journey was a fun one. It's just a shame that over 15 years of wondering about Proto Man didn't end with a more satisfying conclusion for me. Just in time for the PlayStation 4 remastering of Final Fantasy XII with Final Fantasy XII: The Zodiac Age is this obtuse item in the game. Your mother should have taught you not to be greedy. Well, certain people in power in my country didn't get that lesson taught to them, but that's a post for another site. 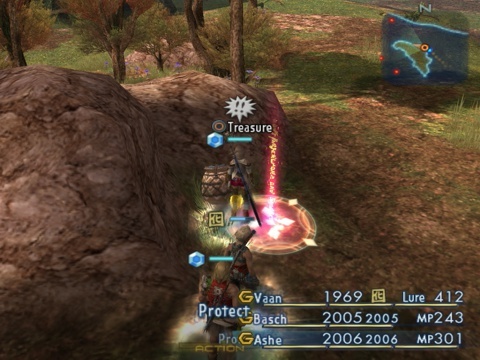 Back on subject, in Final Fantasy XII, if you're too greedy, then you might just give up a chance for one of the rarest weapons in the game, and you might not even ever have known it existed because of it! 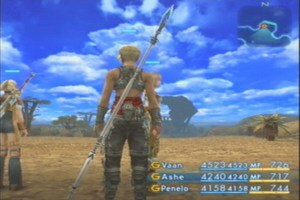 It's Final Fantasy XII's Zodiac Spear. Usually you have to do something to get a really valuable weapon, but with the Zodiac Spear's case, you have to not do something. In this case, it's not opening four of the game's treasure chests out of countless ones throughout the game. These specific chests don't look any differently than any other in the game, so even if you know about this dilemma about opening chests, you don't know which ones not to open. If you don't even know that, then unless you're insanely lucky (opening a certain chest that ridiculously rarely gives you the spear right then and there), you won't even know the Zodiac Spear even exists. For me, Tales of Symphonia fills me a nice sense of nostalgia. It was my first Tales game, and it was lovely game to play during one of my summers off from high school. However, until reading a Brady Games strategy guide on Symphonia much later after having beaten the game, I was absolutely shocked to learn about a piece of the game I never considered. 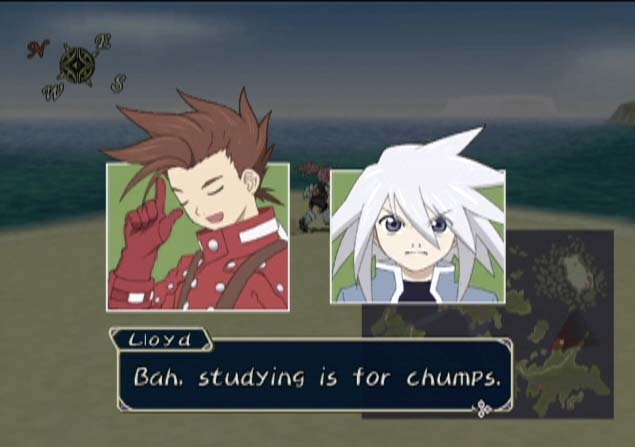 As Lloyd Irving, the main character of Tales of Symphonia, you occasionally get the opportunity to choose between two lines of dialogue for him to say to various characters. Seems harmless enough, and it did to me while playing the game originally at the time. 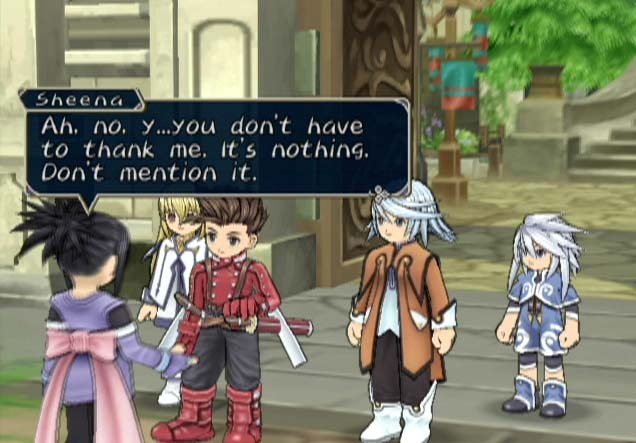 However, what is completely left out by the actual game is a relationship system where these choices of dialogue affect how the numerous party members tagging along with Lloyd think about him, as well as affecting their affinity with him. Since I generally make the most rational of choices the first time around as main characters in games that give me this opportunity, I ended up with a default ending. 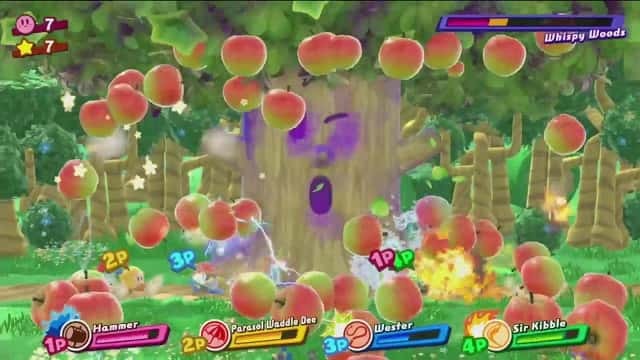 That said, Lloyd can end up with any number of characters, and it can even affect the makeup of Lloyd's party in the long-term as one character can die with another taking their place.